"... they may have made their greatest album ..."
"... one of their most understated and underappreciated -- and one of their best ... the band, especially Moon, sounds superb throughout ... the three live bonus tracks are fierce ..."
Produced by Glyn Johns, all the tracks on 1975's The Who By Numbers were recorded on the Shepperton sound stage using Ronnie Lane's mobile studio, beginning with a jam session and continuing over two months including overdubs. The album contains the double entendre top 10 UK hit single Squeeze Box on which Pete Townshend plays both banjo and the titular accordion, which he learned in one afternoon. 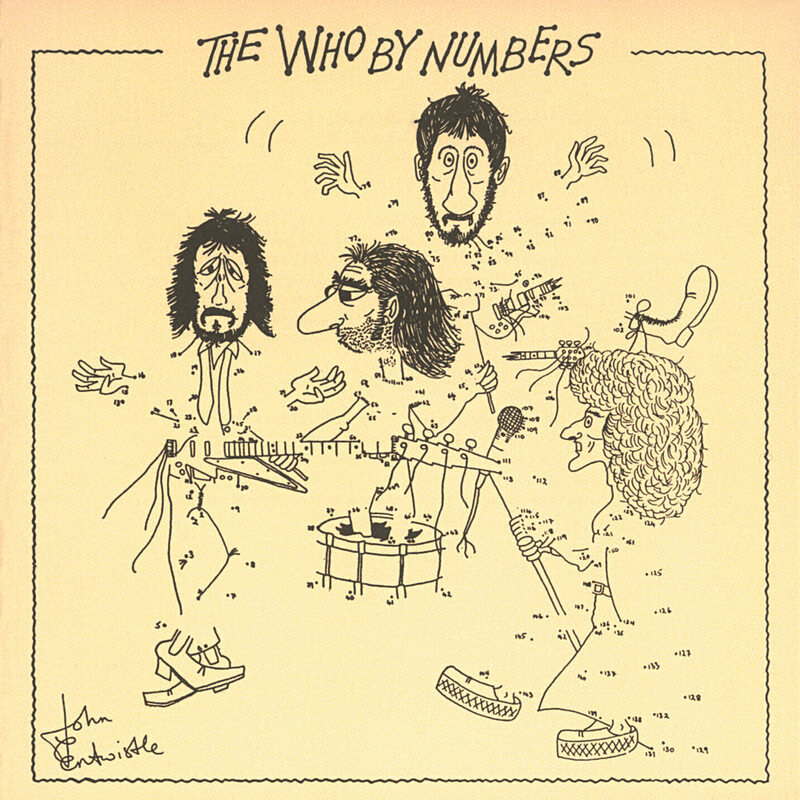 The self-deprecatory connect-the-dots cartoon design was drawn by bassist John Entwistle. This remastered rerelease features three live bonus songs.